The California Department of Motor Vehicles is considering new regulations to allow driverless cars without back-up drivers to be tested on its roads. Currently 27 manufacturers have a permit to test autonomous vehicles in California. However there must always be a human being in the car. Google's driverless car company Waymo said that in 2016 it drove 636,000 miles in the state and required 124 human interventions. This was down from 341 in 424,000 miles in 2015. The new proposals include a framework for how the testing would work and also what would be required by manufacturers to make the vehicles available outside the tests. "These rules expand our existing autonomous vehicle testing programme to include testing vehicles where no driver is present," said Jean Shiomoto, director of the California Department of Motor Vehicles. The department is now inviting written feedback until 24 April. 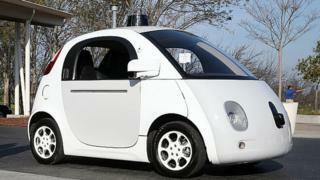 Driverless cars - no halfway house?